JACKSONVILLE, Fla. - The 90-year-old winner of one of the largest lottery jackpots in U.S. history is suing her son in Duval County Circuit Court. Gloria MacKenzie claims she lost more than $10 million because of how her son and his investment manager handled her money. MacKenzie accepted her $590 million Powerball jackpot in May 2013. At the time, it was the second-largest jackpot in U.S. lottery history. She took the jackpot as a lump sum of $370.9 million and split it with her son, Scott, who then hired an investment manager to handle their money. The mother had been living in a rental duplex near Tampa when she bought the ticket. 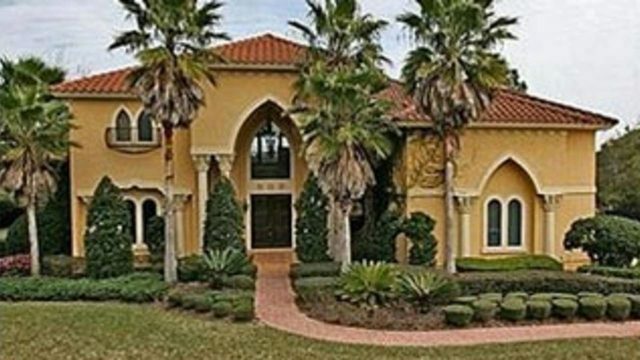 Initially, the son bought a 6,300 square-foot, five-bedroom home inside the Glen Kernan Country Club in Jacksonville for $1.2 million and moved his mother in with him. Court documents show she is currently living in Pennsylvania. Her son’s address is listed in the same gated community. Gloria MacKenzie filed her complaint last September saying she lost $10 million because of how her son and his investment manager, Hank Madden, handled the money. The complaint said Madden had never managed such a large account and over a 3½-year period he charged millions in fees to manage the account. It also says Madden tried to isolate the mother so she wouldn't scrutinize his advice or exorbitant fees and charges. The suit also says Madden "failed to invest the funds in an appropriate mix of investments, did very little trading and mostly invested in debt instruments, most of which, once purchased, sat in the accounts and the value of which was used to compute fees for Madden, all of which was known to Scott who did nothing to correct the situation." Gloria Mackenzie's attorney, Greg Anderson, said Scott Mackenzie was supposed to take care of his mother with winnings they spit. Anderson said Scott Mackenzie instead kicked his mother out of the home. "The other children and grandchildren started asking questions because here is Gloria who had enough money to buy every assistant living center in Jacksonville if she wanted to, and yet she was looking for a relative to live with to take care of her," Anderson said. Mr. MacKenzie is deeply disappointed with his family members’ decisions and their motivations in bringing this lawsuit, but is equally confident that the truth will ultimately prevail. Although he strongly disagrees with the allegations that have been made, he will respect his family’s privacy by reserving any further comments until the case has been concluded." There was a hearing earlier this week, but the judge has yet to issue a ruling. Gloria MacKenzie is asking for a jury trial. It’s unclear how much of the fortune is left.